This lovely seaside event will be casual. Children are welcome! 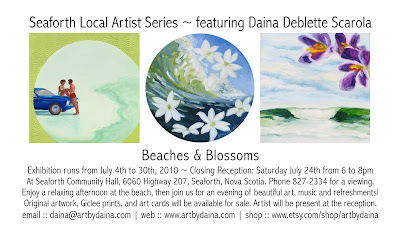 Feel free to invite your art and ocean-loving friends. I would So love to come to the reception, to both see the beautiful works in person, and to be able to meet with this extraordinary artist! Wishing you the Very Best Success. There is no doubt you will obtain it!! !